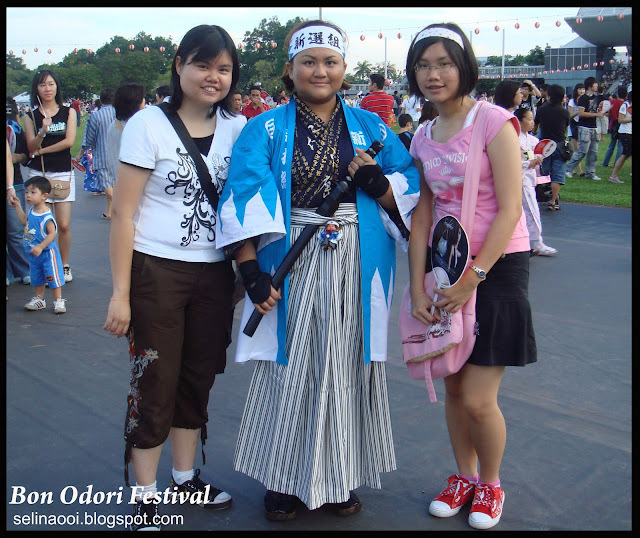 In Malaysia, Bon Odori Festival is celebrated every year. 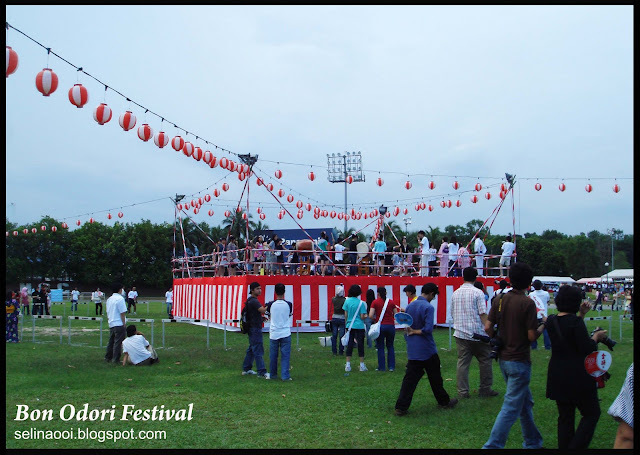 This celebration is the brain child of the Japanese Expatriate & Immigrant's Society in Malaysia. In comparison to the celebrations in Japan, the festival is less associated with Buddhism and more with Japanese culture. Held mainly to expose locals to a part of Japanese culture, the festival provides the experience of a variety of Japanese food & drinks, art and dance. 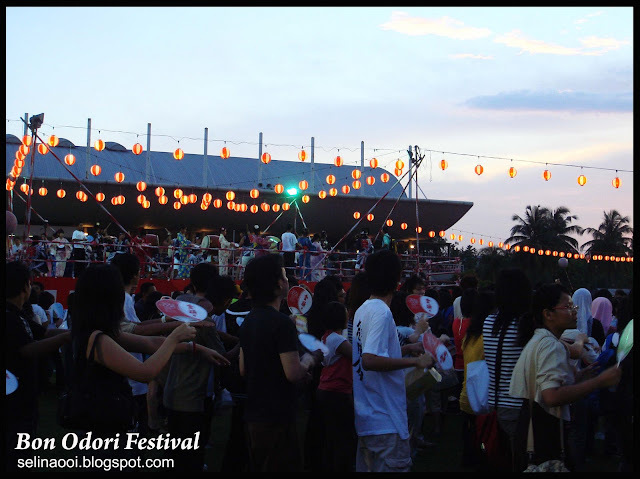 Do you know about what is Bon Odori? 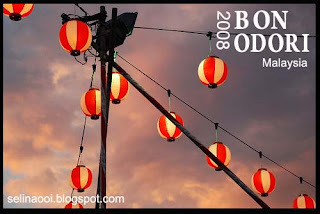 Bon Odori , meaning simply Bon dance and is an event held during Obon. It is celebrated as a reminder of the gratefulness one should feel toward one’s ancestors. The event was located at Matsushita Corp Stadium in Shah Alam on 12th of July, Saturday. And we saw a cute girl who wear kimono. Many photographers took a photo of her! She was really popular...Haha!